This Teacher Training is meant for everybody who would like to teach Critical Alignment Yoga. To join you already need some experience: you are already practicing Critical Alignment Yoga for at least a year or you are a teacher in another yoga/movement style. The teacher training is intended to give you the tools to develop your own research into the human body and soul. It is not about the perfect asana, of even the perfect class. What I would like to give you in this teacher training is the tools to develop yourself as a human being and teacher: an open and inquisitive mind, and an interest in and compassion for both yourself and your students. The first year has quite a technical approach, where we study the body in anatomy classes, you learn the asana’s, study movement patterns, compensations and common problems we find in our own and our students’ bodies. Right from the start we will practice didactic skills so you get a lot of experience with teaching. In the second year we will study more the connection between body and mind: what do these physical asana’s have to do with tension and how can you address in your classes not just the physical level, but the root causes of tension build-up as well. At the end of the second year you do a practical exam. The last half a year is more focused on finding your own teaching style and interests: you do an internship (teaching) and your own research. About which you write a report and present the results to your fellow Critical Alignment teachers. During 2,5 years you follow at least 2 classes a week, with Selle or, if you don’t live close to Wageningen, with another teacher specialized in Critical Alignment Yoga. 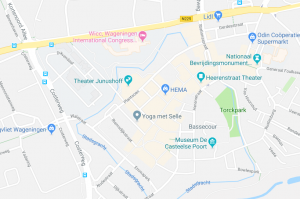 In that case it is strongly advised to follow classes with Selle whenever possible, the Yoga Week in Winterswijk is a good option and the 3-day intensive with Christmas. If there is enough interest it is also an option to organize a yoga week especially for teachers in training. The first and second year you have 14 Teacher Training days on Saturday. In one weekends it is followed by another training day on Sunday. This comes down to one training day or weekend in about three weeks. In the last half a year there are two more training days. In the theory classes you are schooled in the following subjects: anatomy, asana’s and movement chains and patterns, didactic, how to structure a class, and manual corrections. In the second year classes in philosophy and psychology will be added. Part of these classes will be taught by guest teachers. In the practice classes you will be more ‘hands-on’. Practicing teaching on each other so you gain a lot of experience teaching a group. Throughout the 2,5 years you have 6 private classes. The first is the intake in which we discuss your motivation and wishes. The other five classes you can use to look at your own body (what are the area’s in your body that need your focus, what are your blind spots? ), we can work on specific asana’s, of put together a program for your self practice. But we can also talk about your progress as a teacher, difficulties you meet there or trouble-shoot about your research. This makes that there is a lot of personal attention and teacher and student stay close. The Exam follows after the two first years and consists of a short class you teach. It will be evaluated by the teacher and you will be given an advice that you can work on during the internship classes you give during the last half year. In the last half a year you teach two (parts of) classes on which you receive feedback from your teacher. Because yoga and movement is by no means a work field that is ‘finished’, being a yoga teacher means that you are constantly doing research. Into the movement patterns of your students, their behavior and into the insights that are being gained around the world on the subjects of movement, mindfulness and relaxation. During the first two years of your teacher training you will already be asked to do small (literature) research, together with your fellow students. In the last half a year you do a bigger research and present the results to other interested yoga teachers. These prices do not include your weekly yoga classes. You can buy 10-class cards or a passe-partout with Selle, or follow your yoga classes with another Critical Alignment Yoga teacher. A year passe-partout at Yoga met Selle in combination with the teacher training costs €575,- (The studio is open for at least 40 weeks a year). Prices include taxes, but do not include study books. It is possible to pay your fee in two parts. Please note the Teacher Training will be taught in Dutch!